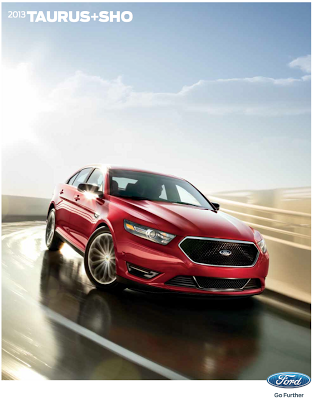 ST. CLAIR SHORES, Mich.- The experience of driving the Ford Taurus have become even more enjoyable in the 2013 Taurus. You’ll love traveling with not only massaging front seats but also a heated steering wheel. Drive confidently with the Torque Vectoring Control and Curve Control. Take any curve with certainty as the Taurus hugs the road. For extra grip though any sharp curve, the Curve Control helps keep all four tires firmly planted on the road. The Curve Control helps to slow the car down as much as 10 mph in one second when it senses that you are taking a curve too quickly. Also to help handling the Torque Vectoring Control employs a slight braking force to the inside front wheel to maintain speed through a curve. Both Torque Vectoring Control and Curve Control are standard systems on the Taurus. Enjoy the extravagance of massaging front seats as well as the new heated steering wheel. Rear passengers are not to be overlooked, they can enjoy heated outboard seats, the latest technological advancements and view through the power moonroof. With new luxurious features and notable handling innovations you will never want to stop driving the 2013 Ford Taurus. Stop by your local Ford Dealer serving Macomb, St. Clair Shores, and surrounding communities. Find out more about the 2013 Taurus in the Brochure. Family owned and operated since 1946, Roy O'Brien Ford is located at 22201 E. 9 Mile Rd. St. Clair Shores, MI 48080 for all your Ford Vehicle needs. Stay on the right track to Nine Mile and Mack!